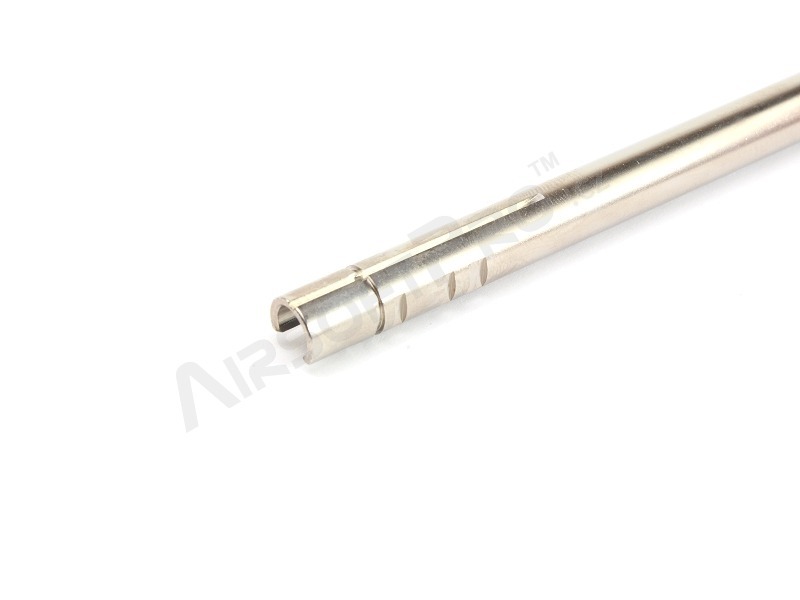 Stainless steel Precision 410mm inner barrel from RA-Tech with a perfect inner surface. With an internal diameter of 6,01mm, a minimum air is flowing around the BB (higher pressure in the barrel) so you get a higher muzzle velocity and accuracy. 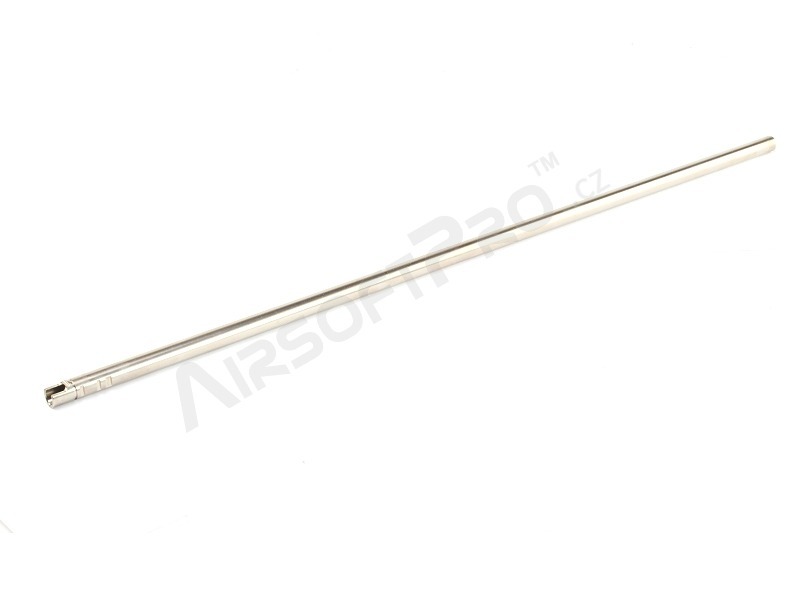 The barrel is made for WE GBB M4 / G39K / G39RAS / M4-A1 / M4-RIS / SCAR(L) and AEG. 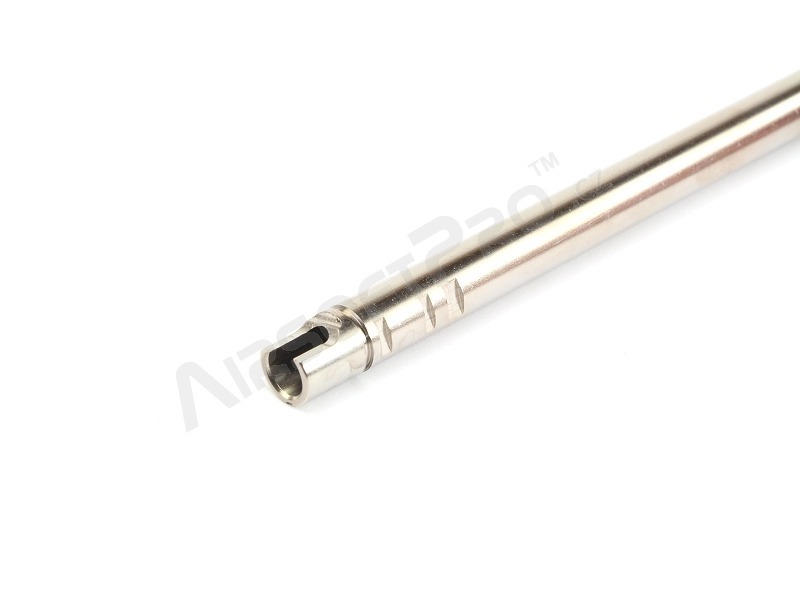 The small diameter of 6,01mm requires the use of high quality BBs to avoid the jamming of the BBs in the barrel.